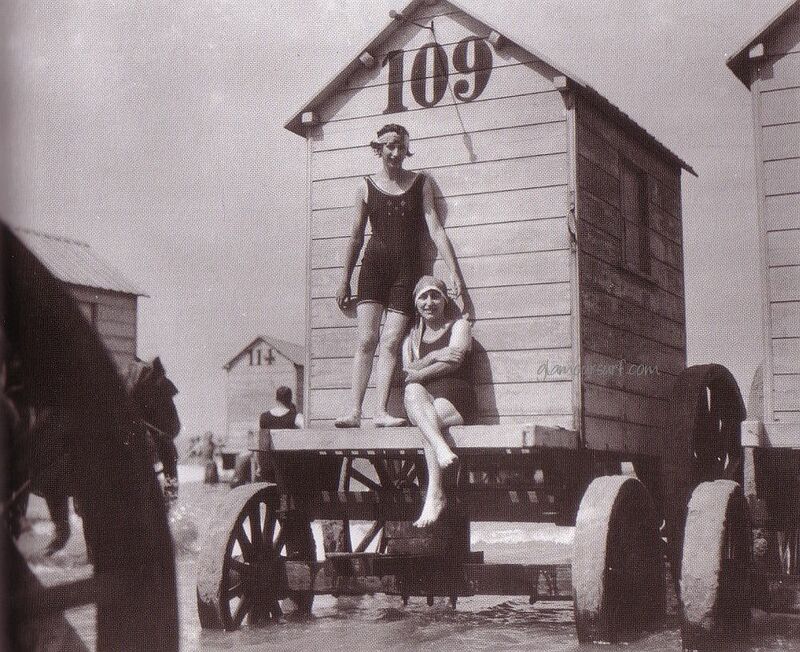 This photo is from 1909 and shows just what seaside fun looked like back in the day. These monstrous wagons are called bathing machines. Bathers would use this contraption for changing into their bathing costume for a 'dip in the briny'. Horses pulled them in and out of the sea for the convenience of the modest.